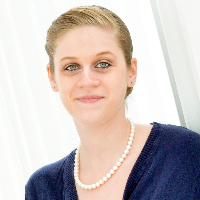 Taylor Wadsworth Lescarbeau (dba: Taylor Wadsworth) is a pre-certified postpartum doula serving Western Massachusetts, primarily the Pioneer Valley and Northern Berkshire County. She has lived in Western MA her entire life and is an alumna of the University of Massachusetts Amherst now residing in South Hadley with her family and two cats. Moved by the compassionate care of her homebirth midwives and postpartum doula/IBCLC, Taylor trained with Warm Welcome Birth and continues to develop her portfolio through volunteer work, professional development, and group meet-ups. Providing a holistic approach to caring for the needs of the birther, partner, and/or family including infant during the first weeks and months after birth; Taylor provides respectful and nonjudgmental care, fostering rest and support of the birther's changing body, guidance through postpartum emotional adjustments and complications, acclimation of the growing family, sharing evidence and experience based information as well as referrals to local resources; to empower and assist new and expanding families to achieve the healthiest, most satisfying postpartum transition possible. Taylor’s approach is grounded in self-care and mindfulness to help you help yourself.